Corecon V7 is a web-based estimating and project management software offering a complete suite of applications to estimate jobs, electronically issue invitations to bid and produce professional proposals for your construction firm. With the ability to take-off using on-line digitizing, and request for quotes via email where subs can reply online, your estimates will be compiled accurately and without delay. Why there’s even a deadline cutoff to control when bids are closed. With total control over your construction estimates, you can build standardized templates, import from Excel, filter items with special drill-down capabilities, and write custom proposals. Plus, once the estimate is complete, you’ll be ready to transfer your estimate to Corecon’s project management features or your favorite accounting software – with one click. Corecon has solutions to address the needs of each client and has tailored functionality. See how Corecon can work for you. Just Need Quantity and Measurement Take-off? 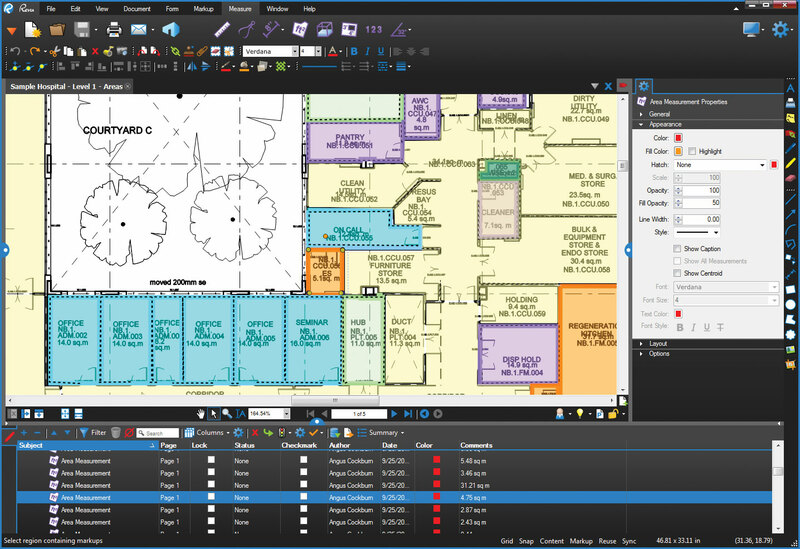 Bluebeam Revu might fit you needs with features like visual search to count how many outlets on a plan sheet and the ability to create customized tools for one click colorized and measurement markups. 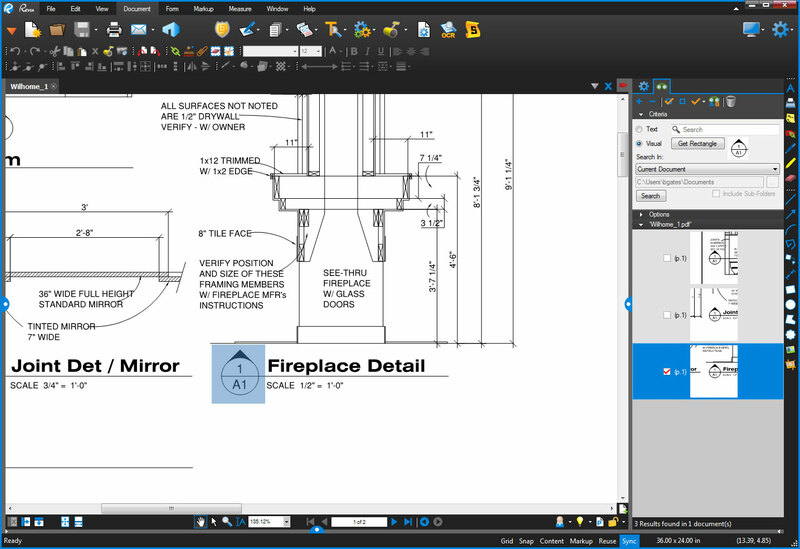 Measurements include length, area, perimeter, volume, angle, diameter, centerpoint radius, three point radius, cutout and special wall area tools built in, you can perform quick take-offs from PDF in minutes. The formula functions give you the power to create complex calculations to take things like slope or pitch into account. And you can assign your markups to layers to toggle your markups for flooring, electrical, plumbing, etc off/on.